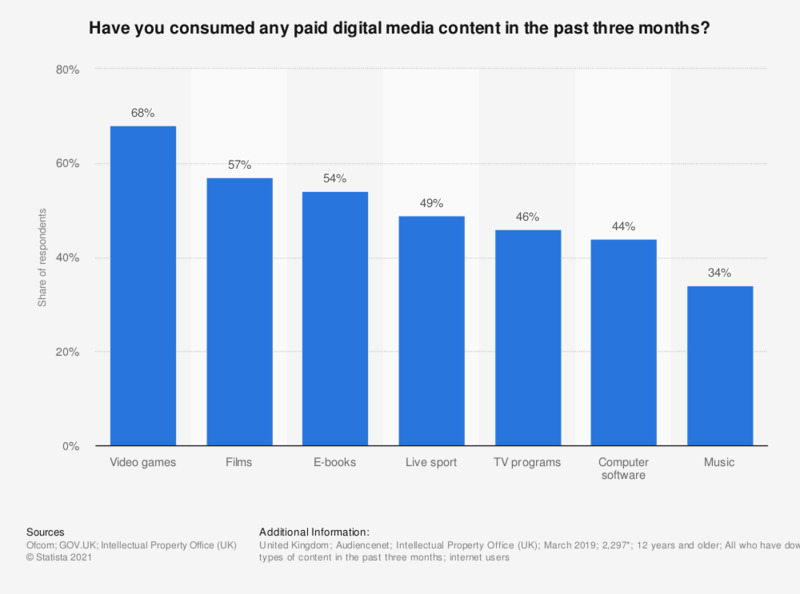 This statistic displays consumption of any paid digital media in the United Kingdom (UK) as of March 2018. Among those who had consumed digital music within the three months previous to survey, 54 percent reported they had consumed music they paid for. * Base varied by content type. n (music) = 1,840; n (films) = 1,430; n (TV programs) = 1,576; n (computer software) = 572; n (e- books) = 507; n (video games) = 761.